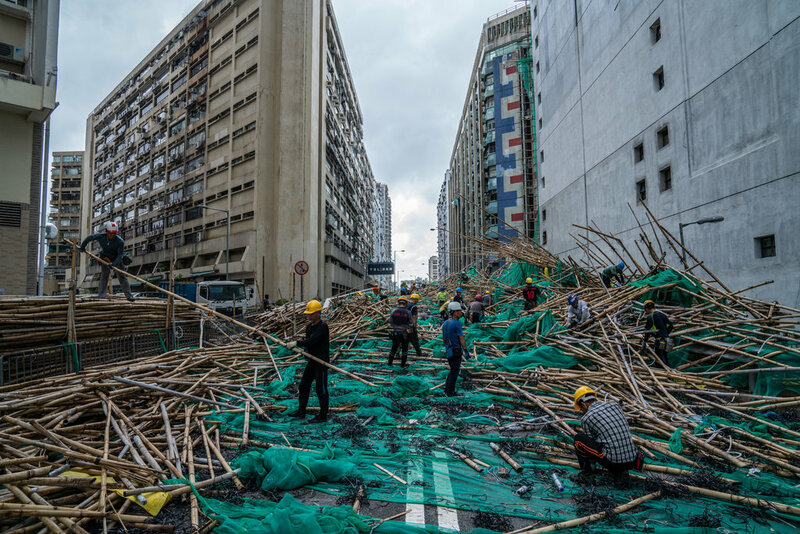 I saw this 'After the storm' picture of Hong Kong today, and wondered what the deal was with all the bamboo in the middle of the streets. Had to look for the reason. 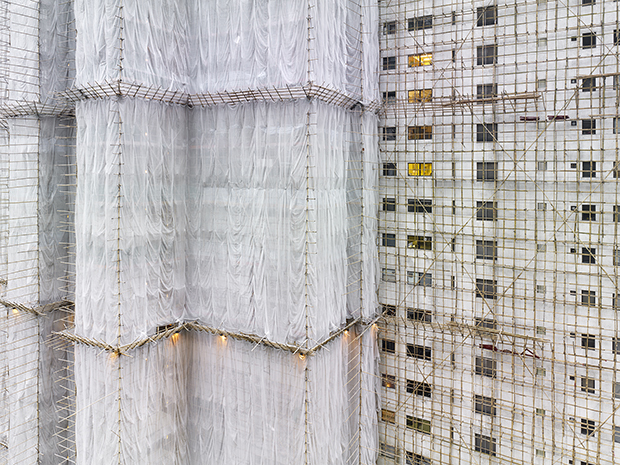 Seems bamboo scaffolding even on high rise buidings in Hong Kong is 'a thing', and sometimes they wrap it all in plastic sheeting....or, silk. no, but i never realized they still used bamboo instead of high impact plastic or even steel. 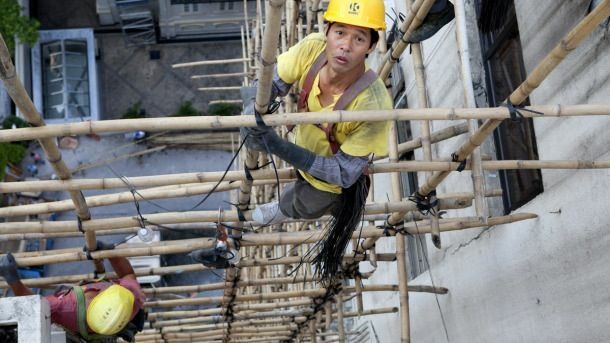 I don't think OSHA would approve that. 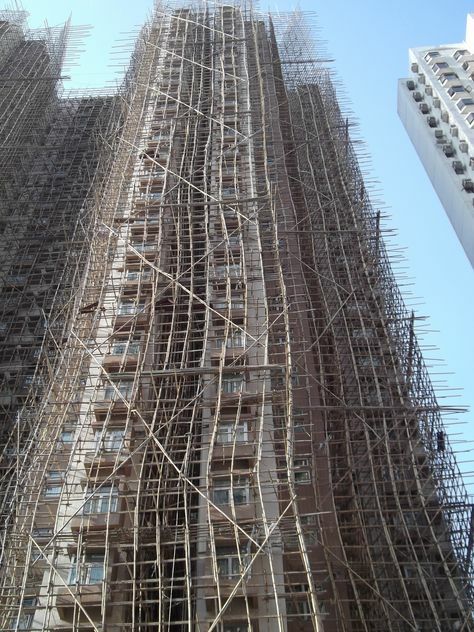 There's a use for Bamboo, that I never would have thought about. I am really at a loss for words. Only way I’m climbing that is if a man eating cougar or bear is chasing me. I knew they did that but to see the scale of it is quite amazing!